Tourism Vancouver Island is currently seeking a representative to serve on the Tourism Marketing Committee for a term beginning September 1, 2017 and ending December 31, 2018. The Application Form is attached herein. Ways to use Destination British Columbia funds to leverage private sector tourism marketing funding. Up to two (2) additional members appointed by the Destination BC Board in consultation with RDMOs, if necessary to ensure that a broad cross-section of the tourism industry is represented on the Committee. Collectively, TMC members must have the necessary range of skills and experience, regional and sector perspectives, and marketing knowledge to provide valued, strategic marketing advice to the CEO and Board. A thorough understanding of tourism issues, sectors, and opportunities. Deep expertise in applied technical knowledge in content marketing; digital, social, and digital marketing strategies; marketing research and data analytics. Committee members are expected to work collaboratively with others, for the benefit of tourism province-wide, in a fully transparent and accountable process, and contribute to Destination BC’s marketing objectives in a meaningful way, including prioritizing time for committee meetings and review of materials. Destination BC and regional representatives will evaluate qualified applicants and bring forward recommended nominations to Destination BC’s Board of Directors for consideration. The initial term of appointment is from September 1, 2017 to December 31, 2018 (timeframe represents the remaining term of a previous member). Committee members may serve no more than two consecutive terms. The Committee will meet on a regular basis, on a schedule determined by TMC members and Destination BC’s Tourism Marketing Committee Chair. 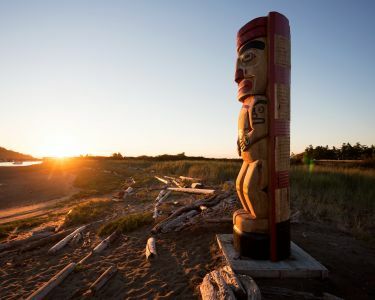 The Committee will meet 2-3 times each year in person, coinciding with the annual strategic planning schedule created by Destination BC’s Board of Directors. Members of the committee will have their travel expenses reimbursed. Members will not receive compensation for meetings.